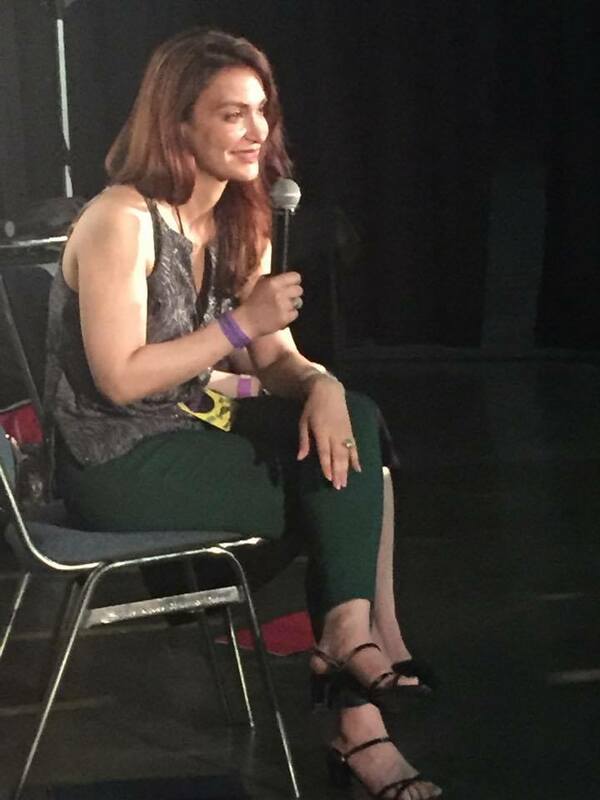 Los Angeles, CA , August 7, 2017	(Newswire.com) - On Sunday, Aug. 6 at 4 p.m. at the Education Stage of the Los Angeles Convention Center, Scare LA 2017 held the informative "The 7 Legal Pitfalls You Must Avoid Before Getting Into The Horror Entertainment Biz" with ScareLA's own renowned entertainment attorney Nadia Davari and her client, noted actress Vida Ghaffari (The Mindy Project, Holy Terror). 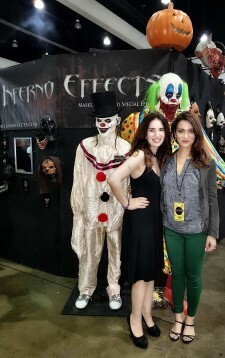 These ladies took the stage to guide attendees safely past the horror entertainment industry's largest — and unexpected — pitfalls. Davari showed the attendees how to not get taken advantage of. To add a little practical spice, this seminar was moderated by Ghaffari, who herself has dealt first-hand with many of these pitfalls in her career, but overcame them all with Davari's expertise. Many of the ladies educational and often humorous experiences and anecdotes were highlighted in this informative seminar. 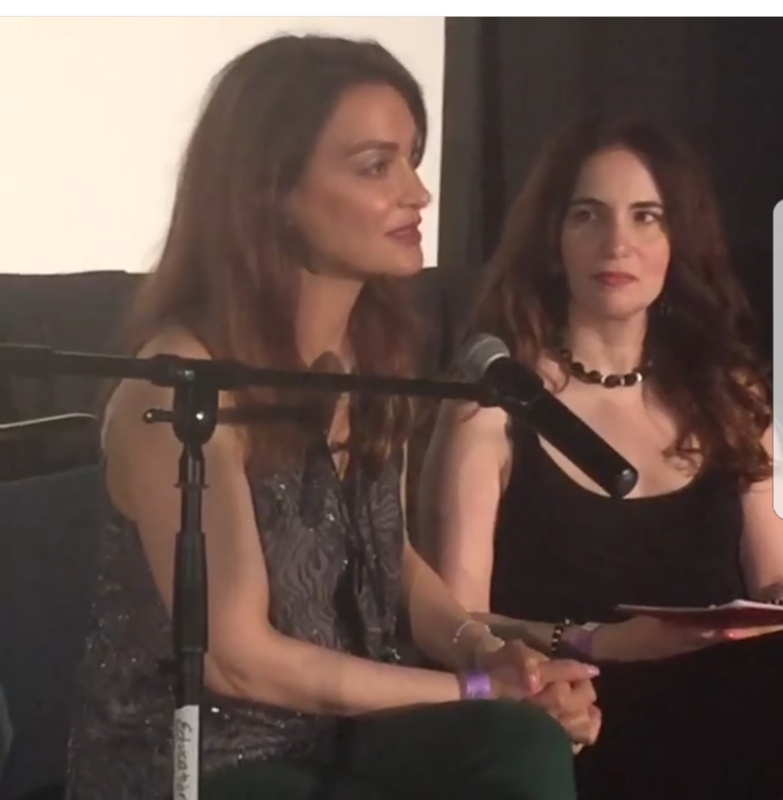 "I was so thrilled to be part of this panel with my wise attorney and a part of this wonderful convention that was started by a woman. 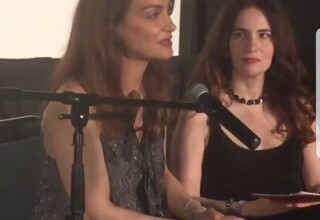 It's really great to be a part of the horror community with such knowledgeable and empowered women," added Ghaffari. "I created ScareLA with the vision of bringing the community together and celebrating our city's diversity in its most unusual forms. Halloween has an amazing tradition of self-expression and creativity and we bring thousands of artists, haunt entertainment professionals, horror filmmakers and fans to celebrate it early. 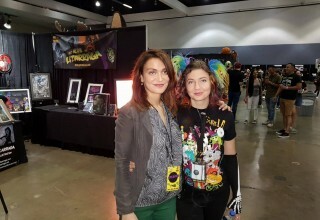 ScareLA was first to bring Halloween to the summer and we are thrilled with the amazing response to our show and creating Halloween's first Comic-con," said Ivanova. "As an entrepreneur, it has been extremely important for me to have an A-class legal team to ensure our success and I could not be happier working with experts like Nadia Davari in this process. Her ability to look at the big picture and navigate the intricate landscape of show business has been key to our growth and I really enjoyed having her share her experience with our community at large at ScareLA this year," added Ivanova. Nadia Davari is an experienced attorney whose practice bridges the diverse realms of entertainment, new media, technology, start-up companies, corporate and business law. Ms. Davari works with a wide range of clients including digital media companies, new business start-ups, production companies, movie studios, television networks, investors, and "talent" representation. Among her many areas of expertise, Nadia has an extensive record of accomplishment in the areas of entity formation, corporate maintenance, content acquisition, production, distribution (domestic and international), finance, the internet and new media issues ranging from capital structuring to intellectual property protection. Ms. Davari restructured international content licensing deals for MAVTV cable network and guided The Channel Factory and Planet Street through the process of establishing new media entities. At Taurus Entertainment and Dream Factory, she managed all aspects of "production legal." While at Gigapix Studios, Ms. Davari negotiated and drafted scripted and unscripted television production, animation series, documentary and feature film, acquisition and financing agreements. At GVN Releasing she helped management launch GVN Releasing and negotiated domestic and international distribution agreements with content providers and sub-distributors.